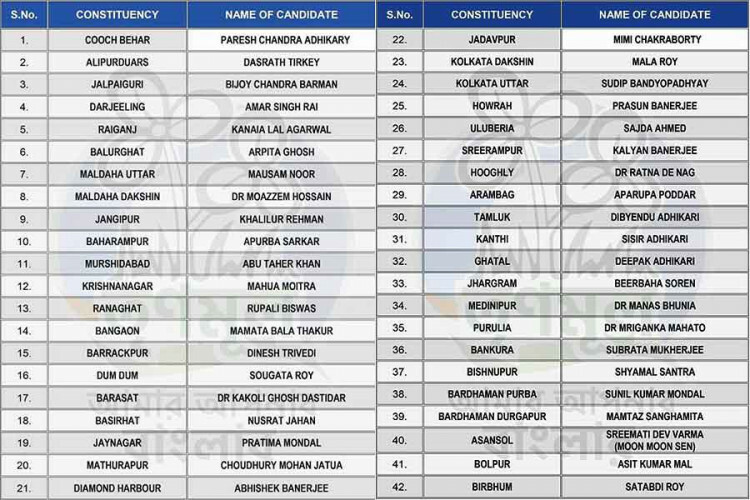 TMC president and the Chief Minister of West Bengal, Mamata Banerjee today has announced the names of the candidates on the 42 Lok Sabha seats of the state and dropped 10 sitting MPs. While announcing the list she said that this time their party will field 41% female candidates and called it a proud moment for the party. The list also includes many Bengali celebrities like Mimi Chakraborty and Nusrat Jahan.